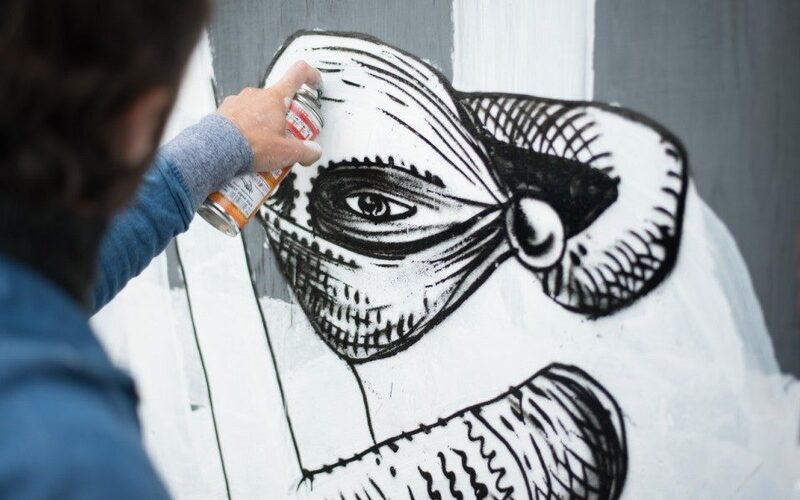 Artists from as far away as Australia, Malaysia, Germany, Portugal and Spain created stunning art throughout the town centre during the festival which wasin its third year. 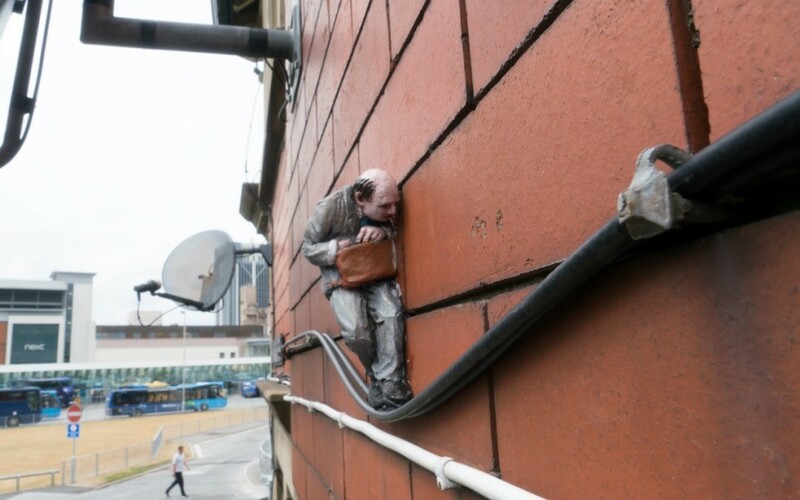 More than 150 people joined a guided tour of the pieces which range from stunning large-scale pieces on the side of buildings to miniature sculptures which have been hidden for people to find. But don’t worry if you missed it. 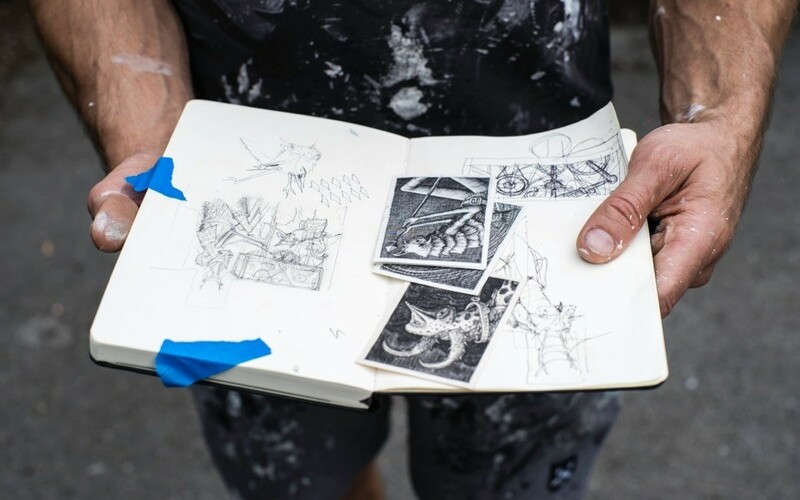 Maps showing the locations of work created over the last three years are available from Liz n Lil’s cafe, Blackburn Museum and Art Gallery, The Bureau arts centre, Blackburn Visitor Centre and online. 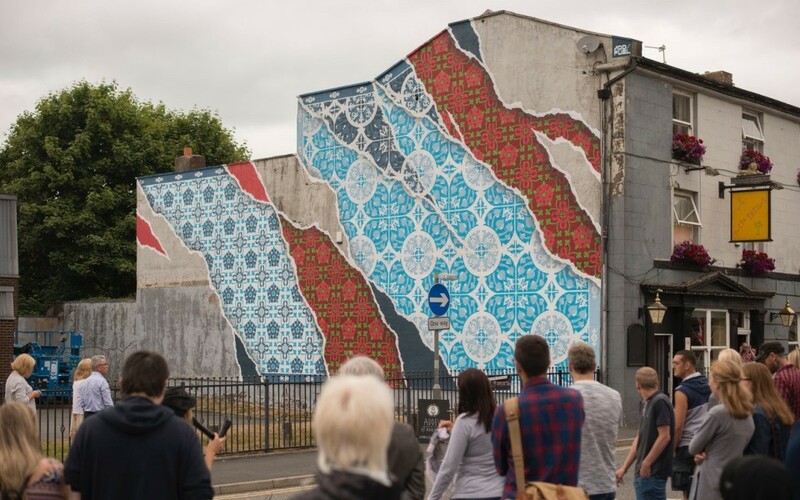 The festival is organised by street artist Hayley Welsh, originally from the town but now living in Australia, and Blackburn-based Alexandra Gallagher. This year’s was the biggest yet. It received a grant from Arts Council England on top of sponsorship and support from Blackburn with Darwen Council. The project couldn’t have gone any better this year. 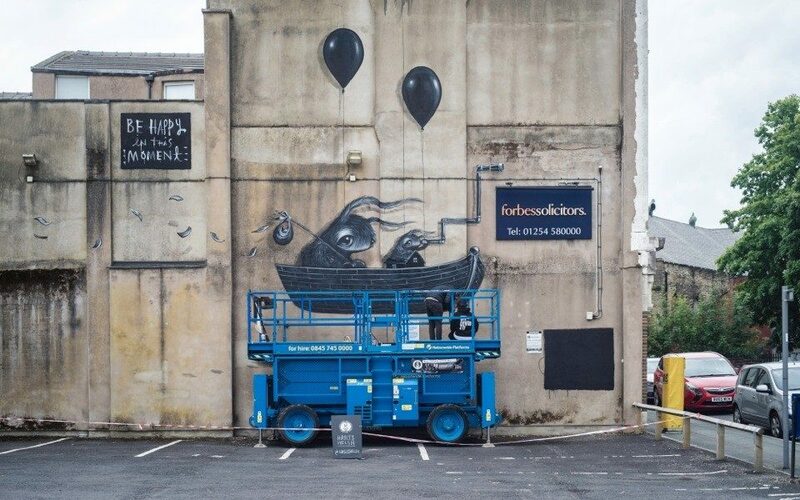 We had some awesome world-class artists come to town and that attracted other artists from across the UK to come along too, so the project just kind of snowballed. 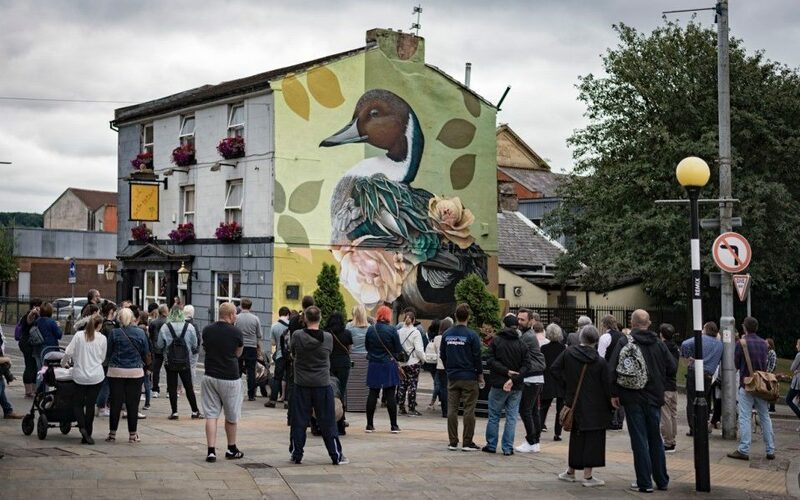 We only planned to have seven artists this year but had so many people get in touch; in the end had over 14 artists making Blackburn beautiful. 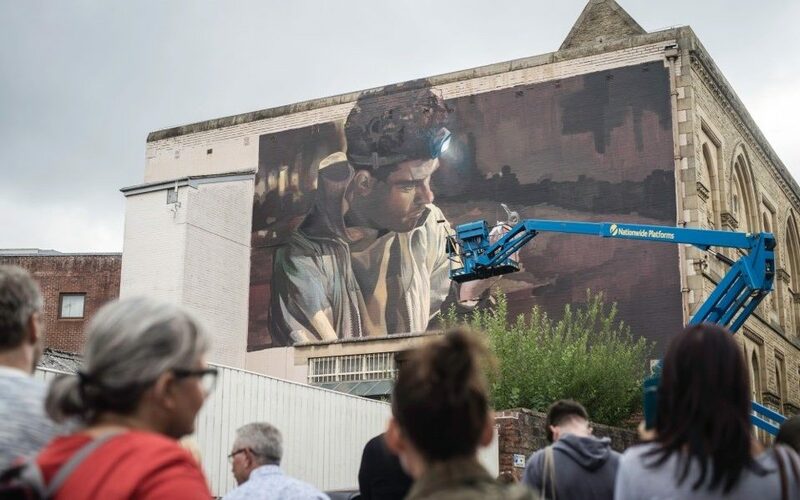 There was such a buzz around the town seeing people create beautiful artworks in public spaces and the feedback from the community was amazing. 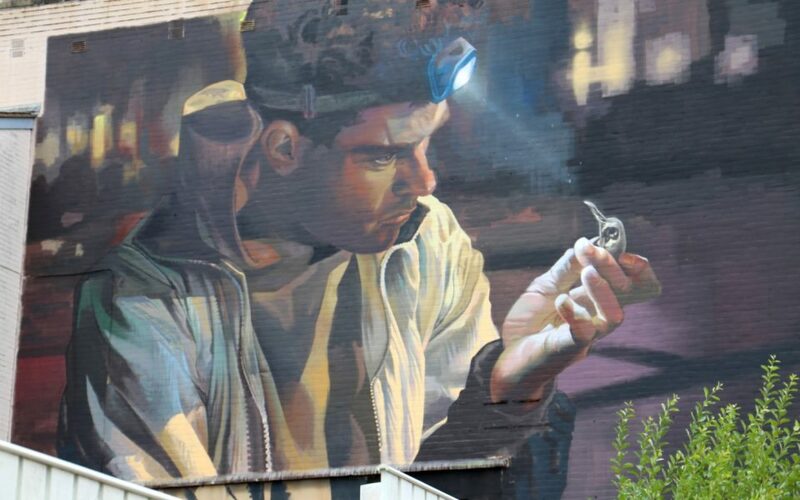 The artists were amazed by people’s response to their work. Issac Cordal who came from Portugal said he felt a great energy in Blackburn and that the people here have a good sense of humour. 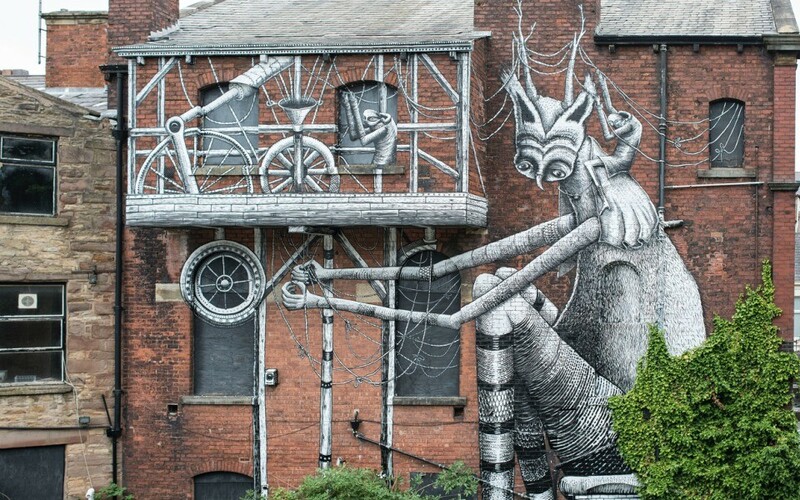 Phlegm (London): a giant black and white creature at Liz n Lil’s cafe.